Everyone knows that online shopping is becoming more and more popular. But there are certain guidelines you should keep in mind when shopping online for tickets for a concert, sports, or theatre event. The last thing you want is to arrive at the event and find out your ticket is a fake, and you are not allowed in. Make sure you are dealing with a company that is registered with the NATB, which is the National Association of Ticket Brokers. The NATB assures you that you are dealing with a reputable company. Check to see how long the company has been in business. If it is a new company, you will not know their history, or how long they will be in business. 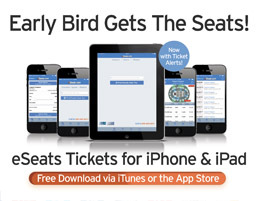 eSeats.com has been in business over 15 years with an extensive track record in dealing with major events like the Summer and Winter Games, and the World Cup. Another good resource is the Better Business Bureau. A good rating from the BBB will give you background information on the company, and how they deal with customer complaints. Previous client testimonials. Check out the company’s website and view their testimonial page. Call the office and chat with a customer service representative. Does anyone pick up the phone, or are you talking with an answering service? Do they seem friendly and knowledgeable? These are just a few things you can do before purchasing your tickets online from a company you have not done business with in the past. The last thing you want is to get to your event and find out the tickets you purchased are not authentic or valid for entry. 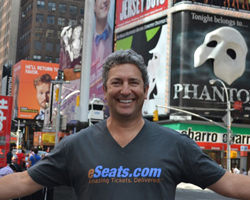 We at eSeats.com stand behind every purchase with our money back guarantee, so you can rest assured that your tickets are authentic. Still have questions? Call 480-361-2708 and chat with one of our customer service reps. We are here to answer any and all questions you may have.